How often I resonate with Martha and Mary. 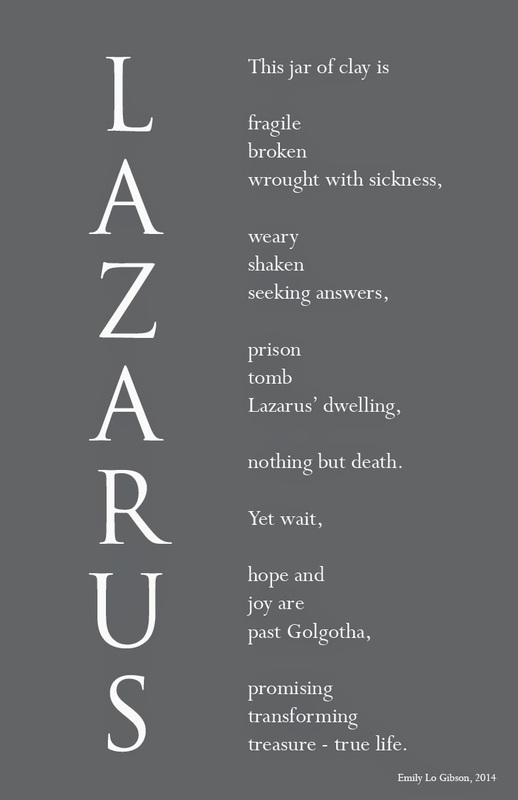 On a night when pain kept me from the slumber I so needed, when I similarly wondered why God wasn’t doing something about my present situation, the Father gently reminded me of the story of Lazarus. Of Jesus’s great love for the sisters and their dead brother. Of His great power in breaking the grip of death and turning the tomb – and later, the cross – into life. There was a breath of hope in that night, and that hope was transferred to the pages of my journal and became this poem.